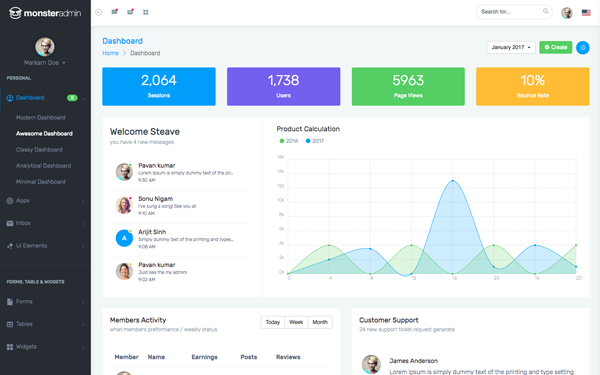 Monstrous Admin is a WebApp template for admin dashboards and control admin panels. 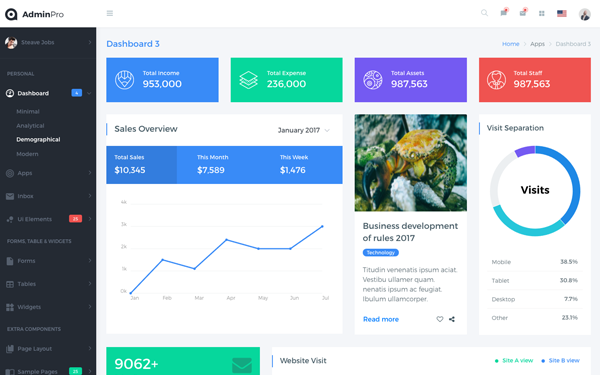 Monstrous Admin is fully responsive HTML template, based on the CSS framework Bootstrap 4 Stable. 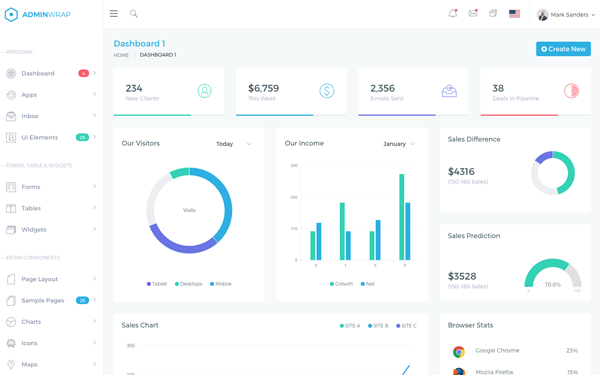 It utilizes all of the Bootstrap components in its design and re-styles many commonly used plugins to create a consistent design that can be used as a user interface for backend applications. Monstrous Admin is based on a modular design, which allows it to be easily customised and built upon.